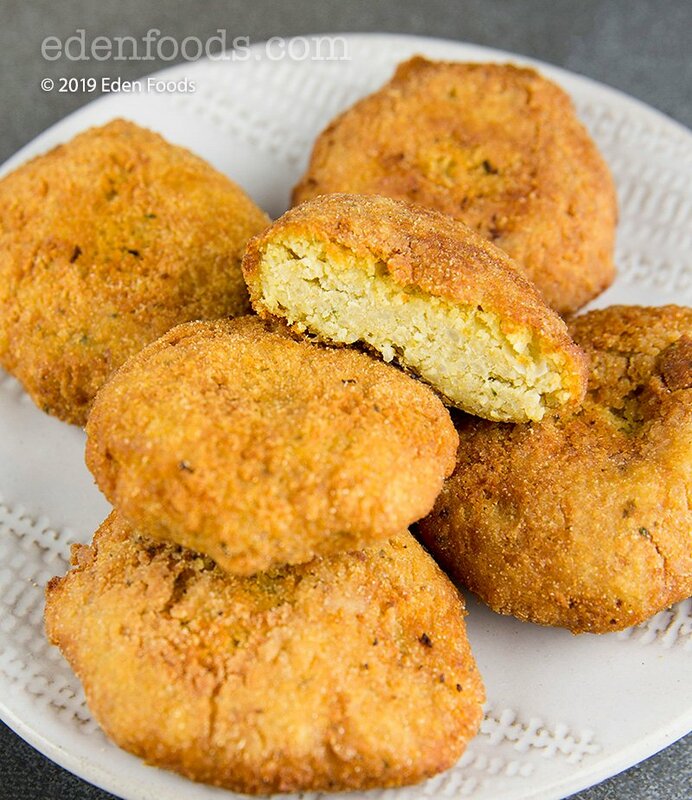 To prepare the falafel, heat olive oil, sauté onion and garlic for 2 to 3 minutes. Blend garbanzo beans in a blender or food processor with tahini and lemon. Place in a bowl and mix in cooked millet, sautéed onions and garlic, parsley, cumin, salt and cayenne. If too wet, mix in whole wheat pastry flour. If too dry, mix in a little reserved bean juice. Shape into 15 equal size balls and roll in cornmeal to coat each. Fry in hot safflower oil, turning occasionally, until golden. Remove and drain on paper towels. Repeat until all falafel are cooked.